The four days of Christmas…POTEMKIN PICTURES style! POTEMKIN PICTURES, run by RANDY LANDERS out of Pelham, Alabama, is a juggernaut of low-budget, from-the-heart Star Trek fan films. With six different fan “series” (actually, they don’t like to call them “series” since the guidelines don’t allow that) currently in production and another about to debut soon, Randy’s goal is to release an average of one new fan film a month. And so far this year, they’ve been on par to hit that mark, having released a total of 11 completed fan films prior to December. At one point, they even posted five fan films in five consecutive weeks! But would they be able to, before the end of the year, make it an even DOZEN within twelve months? Well, kinda. Yes, Potemkin Pictures did manage to release their 12th fan film before the end of the year…and their 13th…and their 14th…and their 15th!!! Four fan films from three different series were posted to Youtube in just FOUR DAYS! (You can watch them all at the bottom of this blog entry.) 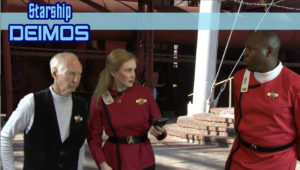 The new productions included a two-part fan film from the STARSHIP ENDEAVOUR creative team (since its total runtime of 19 minutes was over the 15-minute guideline limit), a pivotal addition to the STARSHIP DEIMOS storyline, and the first new release from the BATTLECRUISER KUPOK creative team since August of 2017. We don’t sit on any production. When it’s done, it’s released. Not everyone loves every creative group. 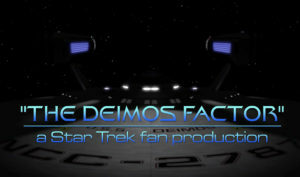 There are Deimos fans, Endeavour fans, Kupok fans. Each of them got a Christmas present…so to speak. Speaking of Kupok, “Spirit in the Star” features an absolutely gorgeous CGI model of a K’t’inga-class Klingon battlecruiser, created and supplied by ROB BONCHIUNE (who used to do the VFX for DS9 and Voyager). The honourable warrior of Trekyards, SAMUEL COCKINGS, rendered some gorgeous VFX shots featuring this digital model that are truly stunning (or maybe I should say “disrupting”). Author Jonathan LanePosted on December 24, 2018 December 24, 2018 Categories Fan Film Features, NewsTags Battlecruise Kupok, Potemkin Pictures, Randy Landers, Starship Endeavour2 Comments on The four days of Christmas…POTEMKIN PICTURES style! 5-in-5! 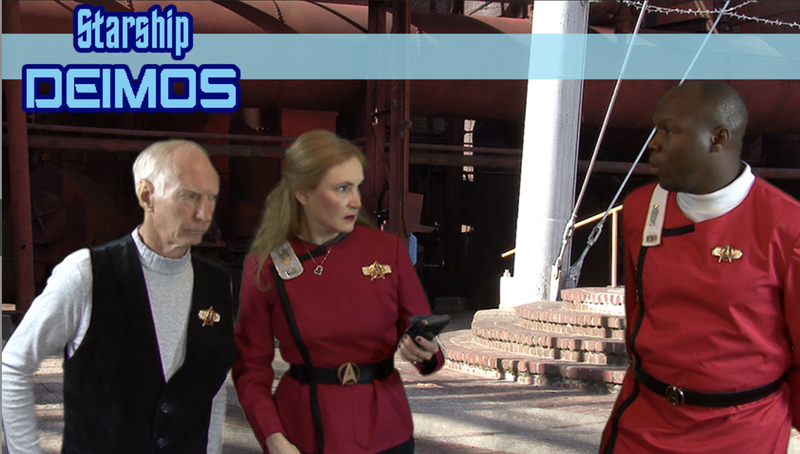 STARSHIP TRISTAN releases its 16th fan film: “Distant Echoes, part two”! Five fan film releases in five weeks! Last week, POTEMKIN PICTURES had gone four-for-four, releasing a new fan film for three of their six (soon to be seven!) active fan series…including two from the STARSHIP TRISTAN creative group. Well, make that THREE from Tristan, as “Distant Echoes, part two” completed their first-ever mutli-part episode late last week. As explained previously, the run-time of the full episode was 18 minutes, above the 15-minute limit set forth in the fan film guidelines. So the Potemkin folks decided to cut this fan film in two. This pretty much gets us caught up for the time being. (All hail the time being!) We have six in post-production. Oh, we shot one last Saturday. Make it seven in post-production. Two nearing completion. We generally release six months after we film. I then asked what “caught up” means…. So if we have six in post, then we’re on target. It’s a PROCESS. And it’s what works for us. This is why so many fan films never make it. They don’t know what to do after they shoot their movie. Also, we use the 96% rule. If it’s good to the point of being 96%, then it’s time to move to the next step. The remaining 4% is not worth the expenditure of time and energy required to get to 100%. That 4% is the law of diminishing returns. That’s a harsh measure to produce by, but it’s what works for us. I’m aware of everything in our films that’s not perfect, believe me. We have five producers with eagle eyes, but we ask ourselves: “Is the problem worth fixing?” Most of the time, we can do it immediately. But when an actress or actor is not available for ADR or reshoots, then guess what? Time to cut your losses. Coming up next: Endeavour and Kupok! 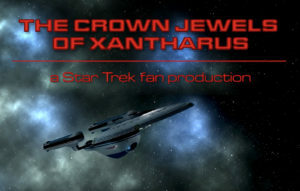 Author Jonathan LanePosted on September 23, 2018 October 1, 2018 Categories Fan Film Features, NewsTags Potemkin Pictures, Randy Landers, Starship Tristan1 Comment on STARSHIP TRISTAN releases its 15th fan film: “Distant Echoes, part one”! 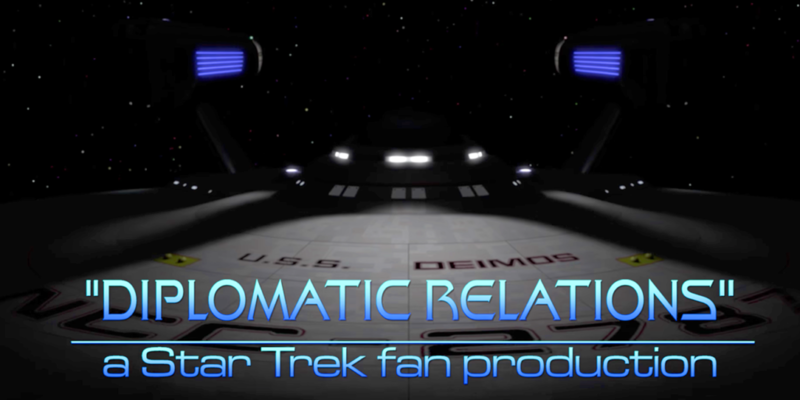 Author Jonathan LanePosted on September 6, 2018 Categories Fan Film Features, NewsTags Potemkin Pictures, Randy Landers, Starship Tristan2 Comments on STARSHIP TRISTAN releases its 14th fan film: “Deception”! It’s been a long road…getting from Project: Potemkin to here. Project: Potemkin was the first fan series produced (and completed after more than three dozen episodes) by what would become POTEMKIN PICTURES—but it certainly wouldn’t be the last! Over the majority of the past decade, Potemkin Pictures has launched the fan series (all currently in active production) Starship Tristan, Starship Deimos, Battlecruiser Kupok, Starship Triton, Starship Endeavour…and they’ve just debuted their seventh ongoing fan series HOSPITAL SHIP MARIE CURIE. Of course, the guidelines prohibit ongoing fan series, but Potemkin Pictures carefully skirts the edges of this spatial anomaly by naming each fan film something unique and simply attributing these efforts to different “creative teams.” So the Hospital Ship Marie Curie creative team has just released a fan film titled “The Beast.” So far, with nearly two dozen fan films released in this manner since the publication of the guidelines, CBS and Paramount have not seemed to mind or take notice. Potemkin Pictures‘ newest fan series is unique in a number of ways. Although it uses the existing ultra-low budget costumes and sets of most of the other Potemkin projects, the hospital ship Marie Curie is a new design of starship that has no weapons. After all, as I told someone recently who was commenting that the ship was too weak, “You don’t usually arm an ambulance like you would a tank!” This makes for an interesting story angle in the pilot episode when the crew faces a situation where they potentially need to go into battle completely unarmed. 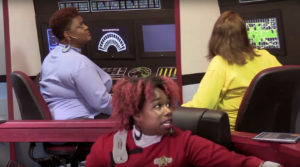 Another item of note—in addition to having a Betazoid crew member during movie-era Star Trek time—is that this series has two prominent African American characters, including the aforementioned Betazoid (played by Staci Marshay) as well as the captain herself (Lillian Cole). 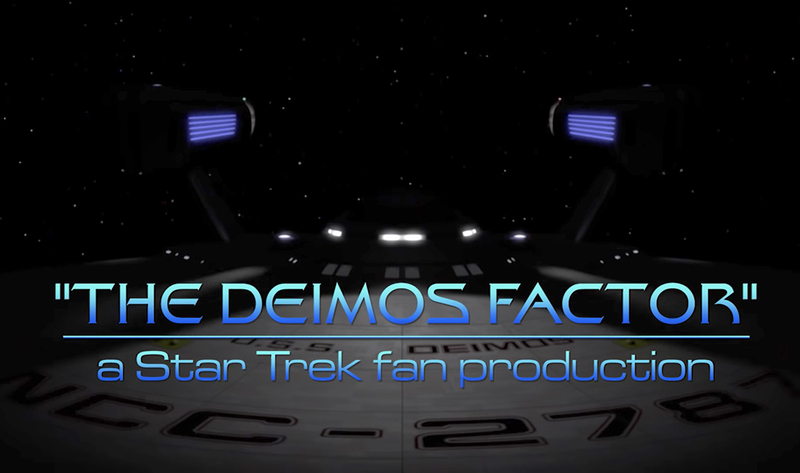 They join the new captain of the Starship Deimos (played by Tony Anderson) as prominent black actors in the Potemkin Pictures family of fan films. Author Jonathan LanePosted on July 11, 2018 Categories Fan Film Features, NewsTags Potemkin Pictures, Randy Landers, Starship Tristan4 Comments on STARSHIP TRISTAN gets a NEW CAPTAIN in their 13th fan film: “A Look in the Mirror”!